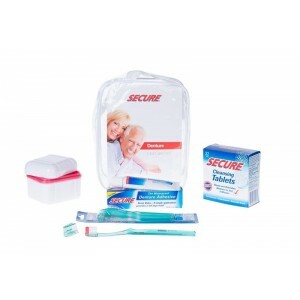 SECURE Denture Adhesive Cream is a healthy alternative to other adhesive products. The non-water soluble bond makes this adhesive stronger and you do not ingest or swallow the ingredients. It is taste free and Zinc Free. SECURE Denture Bonding Cream is a completely unique product, so users must learn how to use it properly.